Bisphenol A (BPA) is a petrochemical used in the manufacturing of a number of commonly used products including such as reusable water bottles, sports equipment, dental sealants, food cans linings, and adhesives. There has been a lot of recent attention about BPA due to mounting concerns about possible links between BPA and a number of health problems including cancer, reproductive problems and neurodevelopmental difficulties. 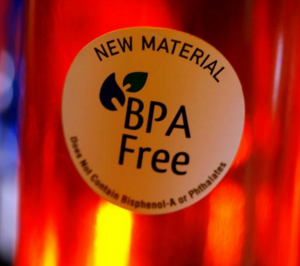 Government agencies have maintained that BPA is safe at low levels, but the public scrutiny has been enough to push the production of many “BPA free” products. The concern over the neurodevelopmental effects of BPA comes from some animal data suggesting that the chemical can alter dopaminergic activity in the brain. There have also been a few human studies that have linked BPA and behavioral problems, but these have had some limitations regarding things like sample characteristics and rigor of behavioral assessment. This new study tries to take the research forward using an older and nationally representative sample and a more stringent assessment for ADHD. The data for this study comes from the 2003-2004 National Health and Nutrition Examination survey which queries a nationally representative population-based sample that oversampled some minority groups. For about 30% of the sample, both urinary BPA levels and ADHD diagnoses were available, resulting in a group of 460 children between the ages of 8 and 15. ADHD was assessed using a structured diagnostic interview, but could also count if a parent reported that the diagnosis had been made by a medical professional. A total of 17.3% of the sample met at least one of these two criteria. The association between ADHD and BPA exposure was analyzed using logistic regressions, and the analyses controlled for many potential confounds such as income, prenatal smoke exposure, and blood lead level. Detectable BPA was found in 97.1% of the sample at widely varying concentrations. Dividing the sample by mean BPA level (3.9 ug/l), those with higher levels were found to be significantly more likely to have an ADHD diagnosis (11.2% vs 2.9% if assessed through the structured interview). Looking at a more quantitative association using regression analyses that controlled for confounding variables, children with higher levels of BPA were found to be more than five times as likely to have an ADHD diagnosis (OR 5.86). This association was found much more strongly in boys with the link in girls being less significant or statistically non-significant in girls, depending upon how ADHD was assessed. The authors concluded that higher BPA concentrations is associated with ADHD, particularly among boys. After the study’s release, the article received some publicity but not as much as one might expect given the findings. This might have occurred because it was published in the less well-known journal, Environmental Research, in the summer. One certainly might be interested to know if the authors tried to publish the report in a more prominent journal and if they did, why it was not accepted. I myself can’t see any fatal flaws, although the authors do acknowledge that they only measured BPA once in the study which is probably not the best way to assess its long term presence when it has a half-life of about 6 hours. Also of interest would be additional analyses to determine if there is some cutoff point beyond which the risk for ADHD is much higher, as the authors in this study used a fairly arbitrary median split for their main result. At the same time, the fact that these findings were present given the way they divided the sample is somewhat concerning as it suggests that there may be risk associated with BPA levels that are very commonly found. Tewar S, et al. Association ofBisphenolAexposureandAttention-Deficit/HyperactivityDisorderinanationalsampleofU.S.children. Environmental Research. 2016: June 6 epub ahead of print. This entry was posted on Thursday, August 25th, 2016 at 2:29 pm and is filed under ADHD. You can follow any responses to this entry through the RSS 2.0 feed. You can leave a response, or trackback from your own site.